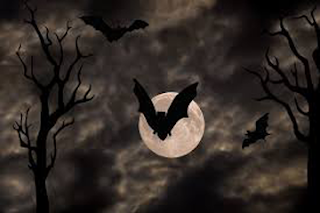 One can go online to search out whether Halloween is an acceptable holiday for Christians, or if it is really an evil day, celebrated by Satanists and occultists. For each site you visit, I suspect you will find a different answer. For the discerning Christian, it should be easy to see the connection between ancient paganism and the modern customs and costumes of Halloween. 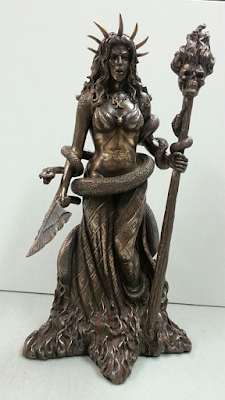 Perhaps the most relevant is the goddess Hecate, the Titan Earth mother of the wizards and witches, who illustrates perhaps better than any other ancient goddess the connection between Wicca, the Celtic Halloween traditions, and the realm of evil supernaturalism. Hecate's followers sincerely believed in and feared her magic, and her presence was legendary. This was primarily due to her role as the sorceress of the afterlife. But true believers also feared Hecate's ability to afflict the mind with madness, as well as her influence over night creatures. She was thought to govern haunted places where evil or murderous activity had occurred. Such areas where violence or lechery had a history were believed to be magnets of malevolent spirits, something like "haunted houses," and if one wanted to get along with the resident apparitions they needed to make oblations to the ruler of the darkness—Hecate. I know there are some secularists, and even Christians within the Church who will dismiss all this information as an imagination run wild. But it is imperative that we understand that the Mass Media, including the Internet, television, film, radio, and other communications systems, have traded Bela-Lugosi-like vampires of former years and silly Abbott and Costello's Frankensteins and Mummies, (which could be vanquished with Christian symbols), for monsters of profound demonic character depicted as impervious to Christ's power. As a result, today's youth have exchanged yesterday's pigtails and pop-guns for pentagrams and blood covenants aligned with forces far stronger than former generations could have imagined.... and forces that they are ill-informed to withstand. I think it is dangerous to dismiss these warnings that I've presented. I think that we do that at the risk of our children. The celebration of Halloween can be an effective tool to lure them into the occult and/or to become victims of satanic rituals. Current headlines have certainly shown us that evil and wickedness are on the rise; with more and more lurid stories of bizarre and sadistic rituals happening almost every day. It will be interesting to see what the headlines reveal in the coming days, as to the unholy celebrations that will be taking place at the end of this month. Obviously, it is up to you to decide what you think about this commonly accepted holiday. But for me, I know the power that the Enemy wishes to use against us, and I will not only be on guard tonight, but will be praying for protection and authority to thwart his attacks against innocent children. Let me leave you with these frightening words from a high priestess of the Church of Satan: "As a child drawn to darker passions from birth, I always delighted in the fear and fantasies of Halloween. It gives even the most mundane people the opportunity to taste wickedness for one night. They have a chance to dance with the Devil, either stumbling, tittering and nervous in the arms of the Black Prince, or boldly, ravenously sharing in the sensual excesses and fright of others on this magical, unholy night. Now, birth and death have, for me, become inextricably interwoven into this day." Parents beware! 2 Thessalonians 2:10-12 "And with all wicked deception for those who are perishing, because they refused to love the truth and so be saved. Therefore God sends them a strong delusion, so that they may believe what is false, in order that all may be condemned who did not believe the truth but had pleasure in unrighteousness." Belle,The church will never see occultism for what it really is. They don't believe in a real Satan and the higher ups now try constantly to dedeify Yeshua! My people perish for lack of knowledge seems very appropriate. Until leadership actually Start's to learn and embrace spiritual warfare samhain will just be about candy like Xmas is about gifts! Shame on you church leadership!!!!!! Yes, it is appalling to me that Satan and hell have become mere "symbols" to so many people -- both inside and outside of the Church. And when the Church chooses to compromise with "trunk or treat" events, they are only contributing to the acceptance of the occult among our children. Sadly, there will be consequences.